For 8 years Bermuda Limousine International honors tennis legend Arthur Ashe at Arthur Ashe Kids’ Day. Arthur Ashe continues his mission of using tennis as a means to instill in kids the values of humanitarianism, leadership and academic excellence. Arthur Ashe Kids’ Day introduces children of all ages to the great sport of tennis while bringing families together for a fun, interactive experience. Produced by Michael Fiur Productions. Executive Talent Managers: David Paley and Cat Del Buono. Logistics Grown Specialist: Billy Amato. 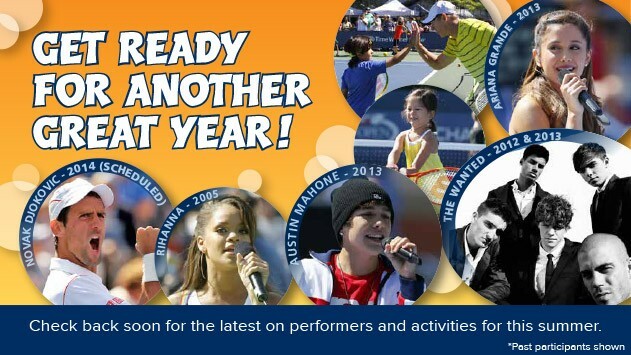 For more information on ground transportation to US Open 2014 Arthur Ashe Kids’ Day, please call us at 212-647-8400.